A relatively new problem among young people, and increasingly adults, computer game addiction generally refers to an excessive, unhealthy amount of playing computer games. 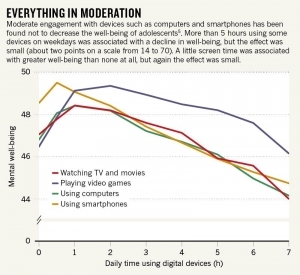 Rather than engaging in the real world, an addicted user devotes the majority of his or her time to gaming. The addicted gamer often isolates him/herself from others, ignores more important responsibilities, and is often obsessed with obtaining higher status or ranking within the game. At Foundation Psychology we seek to understand the emotional underpinnings of computer game addiction and break the behavioural cycle. This cycle is often based on avoidance of intense emotions. Psychologist, John Laidlaw, works with gamers 15 years and up whom are struggling with this issue. How much is too much computer time? A recent study by the Kaiser Family Foundation shows that the amount of time children spend using various entertainment media has increased dramatically in recent years to over 53 hours per week. That’s more than seven hours per day, a figure that rose by nine hours per week in just five years. Time spent on the computer more than doubled over a decade, from less than one hour per day to more than two. However, only about 16 minutes of that time on average is devoted to schoolwork! The rest is for entertainment, with social networking, video gaming, and watching online videos being the top three activities. And much of that media use is unmonitored by parents: only about a third of children reported that they have household rules governing their computer use (Rideout, Foehr, & Roberts, 2010). Overall media use drops dramatically, by nearly three hours per day, when parents set any kind of rule about it. Of course, parental guidance requires parents who are themselves technologically savvy and who have the time and energy to monitor their children’s media use. The group considered most at risk of harm from digital technology is adolescents. There has been a clear rise in the time that teenagers spend online, and their still-developing brains may make them especially vulnerable. They are also exquisitely sensitive to social signals, as they learn to forge connections and establish an identity. Victoria Rideout, one of the researchers and authors of the study, summarized the issue this way: “Despite the educational potential of computers, the reality is that their use for education or meaningful content creation is minuscule compared to their use for pure entertainment. Instead of closing the achievement gap, they’re widening the time-wasting gap” (Richtel, 2012, p. A1). Do computers impact mental health? So while computers are a great tool, people can get addicted and waste their life away!